The United States is a very developed place. Sometimes this can prove to be challenging when trying to find a place to get away from everything, especially east of the Mississippi where I reside. I am pretty sure the answer is likely somewhere western (Montana maybe), but what is the most remote place in the contiguous US? Furthest distance from medical care or rescue if something goes wrong; difficult terrain could trump the distance. Essentially, no visible traces of humans, or "untouched" if that's even possible these days. Now, I know this could seem like an opinionated question to some folks, but I'm really looking for places that can be backed up and grounded with as much factual data as possible. Edit: I previously said "continental" US, when the correct term is "contiguous." Oops. Please bear that in mind regarding my comments below. Project Remote was started by a scientifically-minded couple to quantitatively determine the most remote locations in each of the 50 states mainly using the distance to the nearest road or town and whether cel phone coverage is available. They've cataloged quite a few states already east of the Mississippi, which you can check out here: Project Remote. The caveat is that the exact coordinates are kept secret to protect the area's remoteness, although the general location is specified. The answer to your question is: the middle of the Selway-Bitteroot/River-of-No-Return Wildnerness in Idaho. These are actually two wilderness areas joined together (separated by a single dirt road) which together form the largest roadless area and the largest wildnerness in the Continental US. The Selway Bitterroot is where the author of "A River Runs Through It" spent his youth as a Forest Ranger. If you look on a electrical power-line map of the United States, you see a huge area in Idaho in which powerlines are completely absent, the largest such area devoid of electrical transmission lines in the continental US. These mountain areas are also known for thwarting the Lewis and Clark expedition due to how rugged they are. Most of the "untouched" places left in North America are that way for a reason, no one wants to touch them. There are loads of barren desserts in Nevada, Utah, New Mexico and Arizona that people don't bother going to because it's dead, there's nothing there but heat sand and rocks. 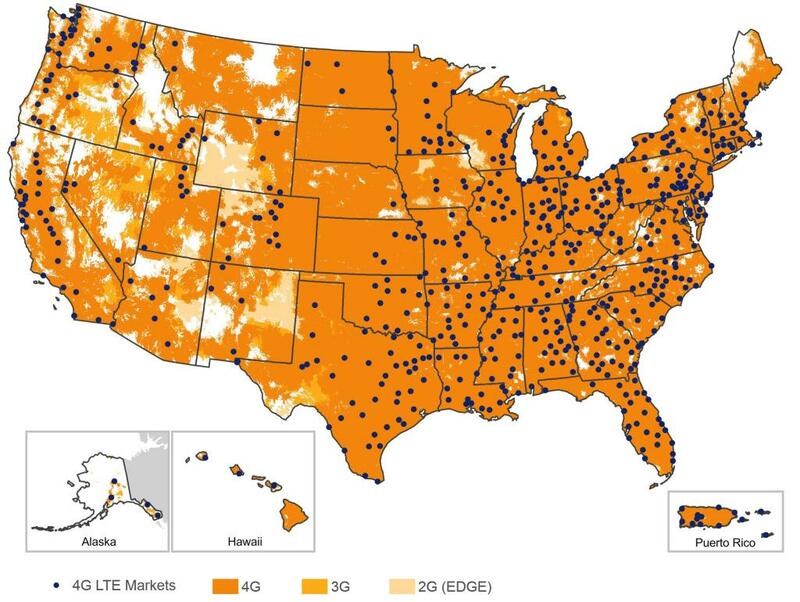 The easiest way to figure out what parts of the USA are isolated from people, is to look at a cell phone coverage map. Those white areas, there aren't many people living there. Some of them are National Forests, some are deserts, others are reserves. The hard thing to find would be an area that doesn't have any roads or tracks going through it. Even the most barren of desserts typically have a freeway to get you to the other side. 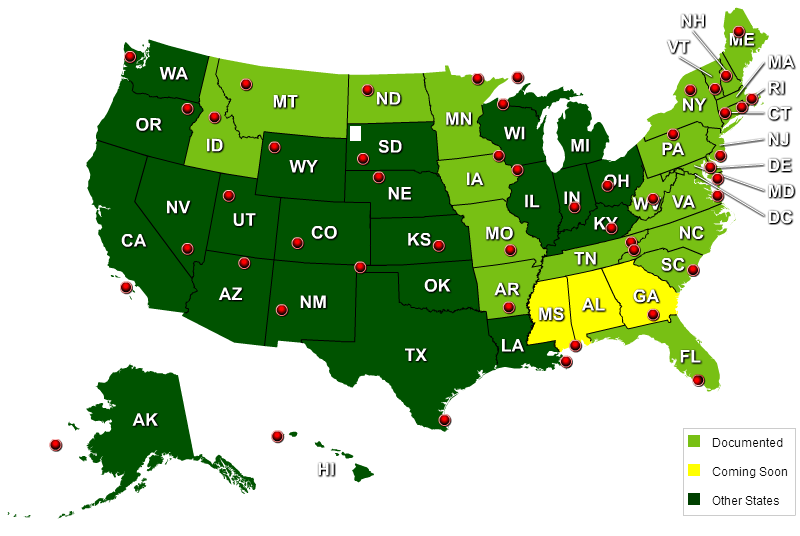 Looking at different Human Geography maps will give you a broad idea of which parts of the country are most isolated. You can then do some region specific research to find out more about what makes those area so isolated. The only truly large wild country is in the Canada part of the USA, up in Alaska. Absaroka Mountain range in Wyoming right next to the trident plateau. National Geographic named it the most remote place in the lower 48. I lived there for 29 days, backpacking with NOLS... it's doable, trust me, and by far the most secluded section of wilderness I have ever set foot in. Not the answer you're looking for? Browse other questions tagged united-states backcountry wilderness or ask your own question.